I find myself thinking about Ghostbusters II often. Don’t you? I have this idea that everyone had so much fun making the first Ghostbusters movie that they all made a pact and decided to do a second movie right after filming of the first one was completed. This is sort of the way that I felt after making the 40 Below. I just had so much fun putting it together that I thought that I would make another book. In January 2014 I made the announcement and here we are in November 2015 and the book is finally here! 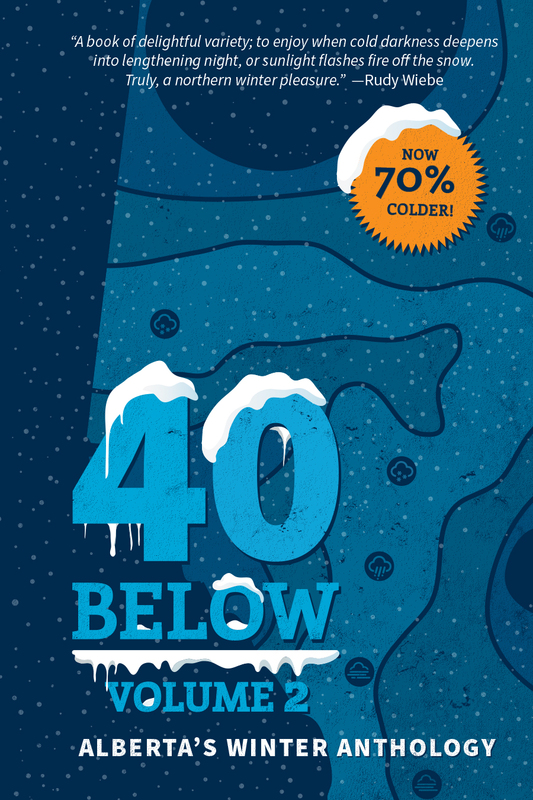 40 Below Volume 2 is Alberta’s Winter Anthology. These are stories and poems inspired by winter in Alberta and they are written by some of the best voices in Alberta. There are writers you know and love and writers you don’t know and are about to love in this book. I’m not one of those writers who compares writing a novel to childbirth, because I’ve never written a novel and I’ve never had a child. But I can only assume that publishing an anthology is like giving birth to 45 children at once. Like some kind of giant possum. It’s a lot of work is what I’m trying to say. When 40 Below Volume 1 was published, the response was amazing. Everyone in the city of Edmonton got behind this book. I’m really hoping that those people support this second book as well. There are many Edmonton writers in the book but there are also people from across the province and I feel that this book for all Albertans, and all Canadians quite frankly. I created this book for all Canadians, and everyone in the world who wonders about how Canadians live. *Spoiler Alert* We have a good time. The funny thing about this book is that as soon as people heard about Volume 2 they asked me if I was going to do a Volume 3. Before they even read Volume 2! I would love to make more books but first I need to focus on promoting 40 Below Volume 2 because there is a lot of great stuff in it. Amazing writers are in this book and everyone should read it. If people really want there to be a third book the best way to make sure that happens is to buy all the copies of 40 Below Volume 2 that are currently in boxes in my basement or on store shelves right now. You can make that my Christmas AND Birthday presents. Deal? Deal. You can buy the book right here. You’re going to love it.